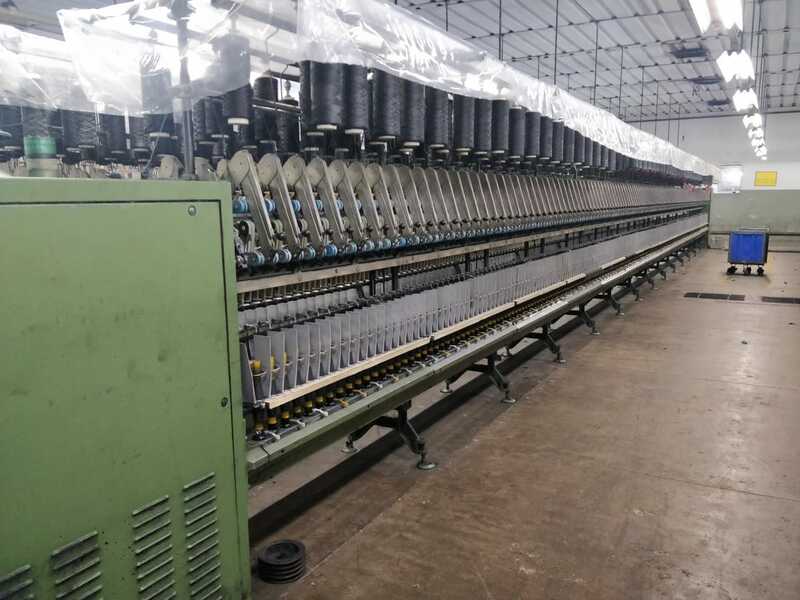 Spinning is the process of conversion of textile fibers and filaments into yarns for weaving or knitting into fabrics. In this article, we are going to know about the various processes which lead to the formation of worsted spun yarns. Worsted spun yarns differ from the regular woollen yarn in various properties. Only fibers with long staple length (4 inches or longer) are taken for further processing. The yarns are carded and combed thus making them stronger, finer and smoother. Worsted yarns are used mostly for weaving as it is able to withstand the rigorous weaving process and produce smooth woven fabric. Wool as in raw material comes in the form of a bale. During blending a number of bales are mixed together to minimize variations throughout the yarn and thus in the fabric. This homogeneous mixture also ensures uniformity in the properties of the yarn. 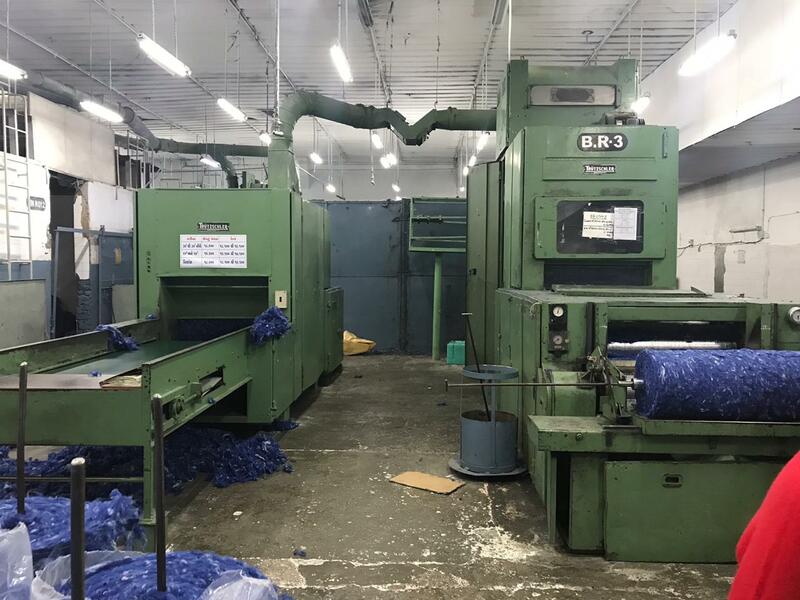 It is done by opening up the bales simultaneously and the fibers are taken over to blending bin where is loaded onto a reed table which has spike apron fluffs which essentially tears up through the bales and through compressed air mixes the fibers uniformly. It is the mechanical process which disentangles, cleans and intermixes fibers using a series of dividing and redividing steps that cause the fibers to lie parallel to one another to produce a thin sheet of uniform thickness of fiber called lay. This lay is then condensed to form a continuous web of fiber known as a sliver. This marks the beginning of the spinning process as the slivers will be further drawn to convert it into yarn. It separates out the shorter fiber (less than 4inch) by rotating rings or rectilinear row of steel pins. 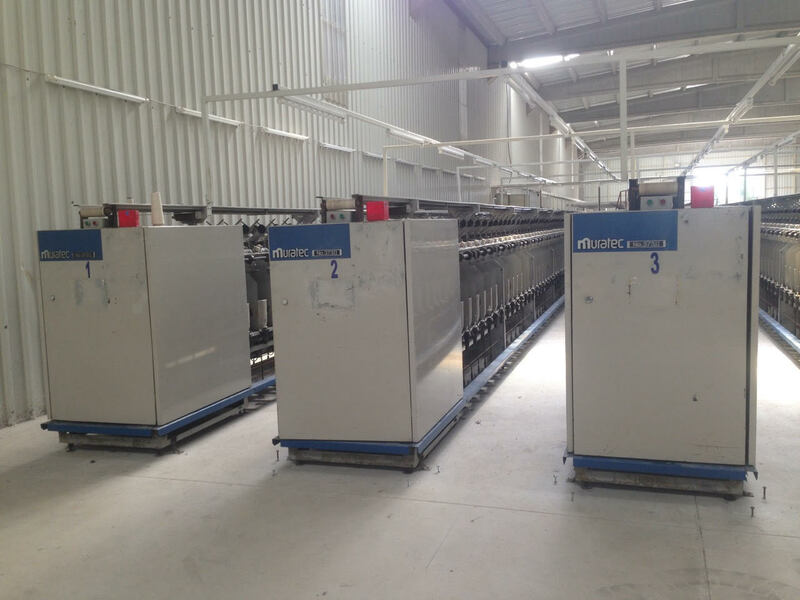 This process is not required in the woolen system as the short fibers are retained for further processing. The shorter fibers removed are called noils and are used as a decorative additive in the further spinning process. The carded wool is then passed through the gilling and combing operation. Through this process, the shorter fibers are further removed and the longer fibers (top) are aligned as parallel as possible. It also helps to remove any impurities left during the carding process. The fibers aligned in the top produce thus have been straightened and lie parallel to each other. It also helps in further blending of the fibers and improves uniformity throughout the bundle. This process can also be done on the gilling machine. 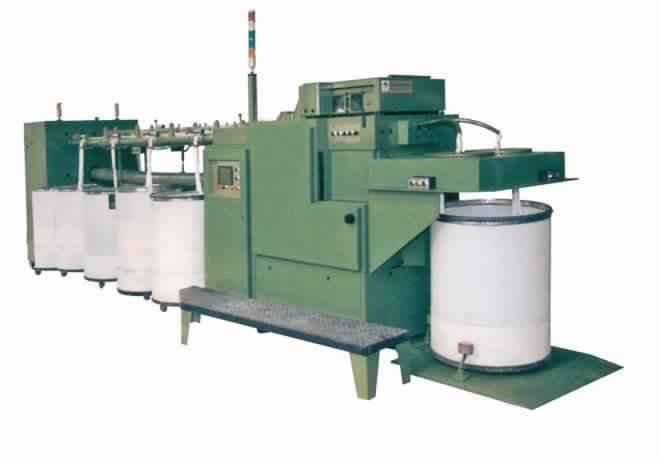 In it, the slivers are further drawn into a more compact form thus making it thinner for yarn preparation. Only the machine settings are to be changed for the drawing process in the gilling machine. Depending upon requirements of the yarn one or more drawing process is given in succession. The purpose of the roving operation is to reduce the sliver to a suitable size for spinning. The slivers are passed through sets of rollers with increasing speed. This helps to further minimize the linear fiber density, preparing it for the process of spinning. During roving, a small amount of twist is also added which helps in the drawing of the roving down to the required linear density. The roving is then rolled upon roving bobbin. After roving, the roving bobbin are fed into ring frame where the roved wool is further drawn out into yarn. During this process a small amount of twit is added which strengthen the yarn and also helps in the drawing process. The yarn is then winded onto ring bobbin for further winding. The ring spinning bobbins have a small package size due to the machine limitations. For the further processes, large package is required for better production rates. 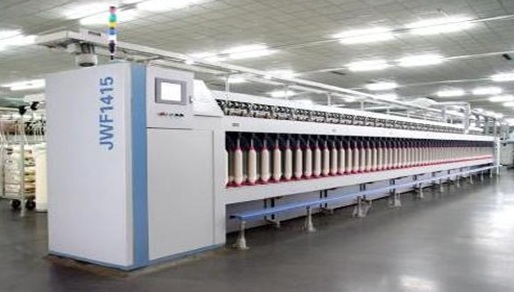 If the small ring spun bobbins are used in the further processes, they would have to be replaced frequently which would reduce the efficiency of the machine. For this purpose, the Auto coner is used to make bigger packages from the ring spun bobbins. Along the process yarn defects like slub, thick and thin places are rectified by cutting and splicing at that point. In the present day, most of the factories have automatic cutting and splicing attachments on the autoconer. The strength of a single yarn is always lesser than that of a double ply yarn. For the process of weaving a warp yarn requires greater strength which a single ply yarn is insufficient to provide. By doubling the yarn the strength of the yarn increases many folds. In this machine, the packages made in the autoconer are used. Two packages are used and doubled to form one double ply yarn. 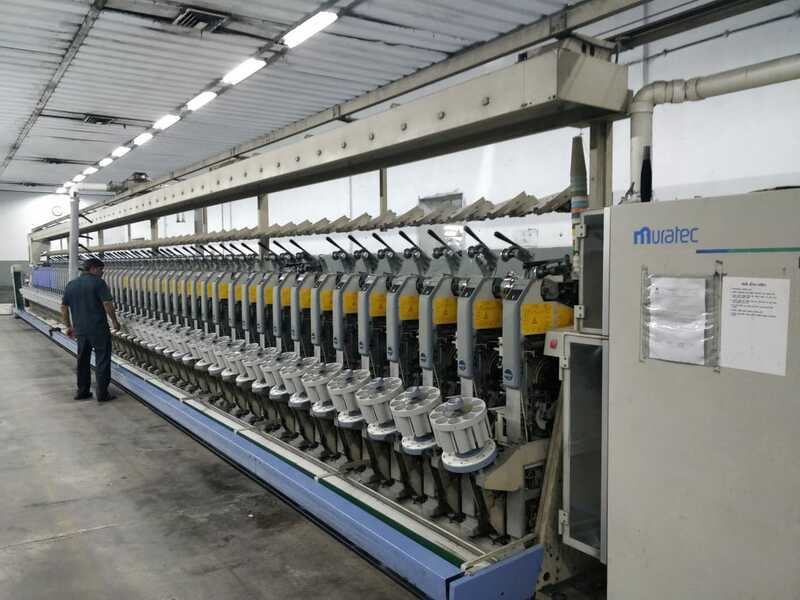 The double yarn formed in the assembly winding machine is not twisted. Without the twist, there always remains a chance that the pry yarns may separate from each other. This is done by TFO(Two For One) machine where the machine runs between 8000-10500 rpm to provide the suitable twist needed. After the process of twisting the wounded yarns are set for steaming in autoclave machine which is a strongly heated container used for steam sterilization. With controlled steam and pressure the twist imparted becomes permanent and then the spool finally gets ready for weaving or other end uses. If the fibres need to be dyed then it is done through top dyeing, but after dyeing the top is to be further passed through gilling and recombing stages again. This also helps in the blending of the dyed fibers . 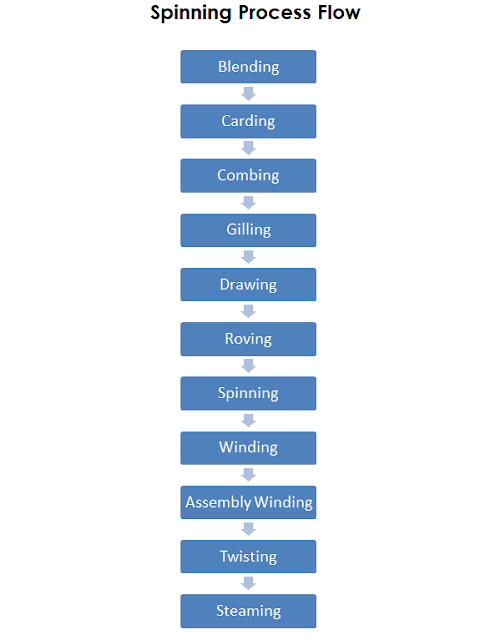 Spinning the yearn manufacturing process and different stages of spinning worsted yarns.